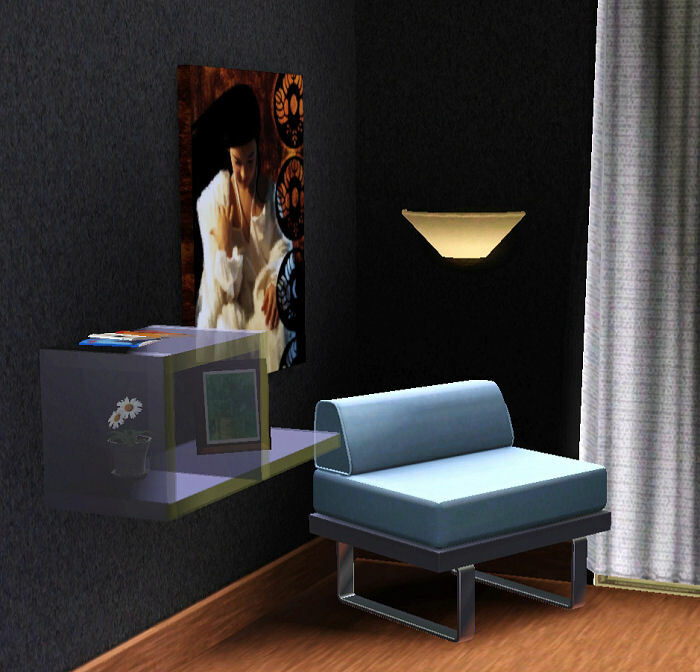 This is a small set of shelves which uses the LN trick of allowing things to slide up and down walls. 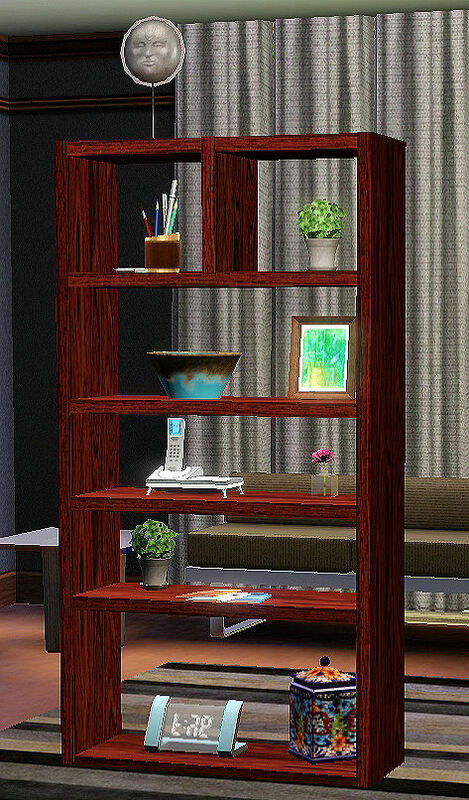 They can go on walls or, if coordinated with the legs from my versatile shelving sets, they can be used to create free-standing shelving units. If you're interested in downloading those please see my creator's page. The shelving pieces have no footprint and can be placed anywhere. Each piece costs $10 and can be found in Buy/Surfaces/Miscellaneous. The full shelves have 5 slots and the half shelves have 3 slots. The upright pieces have no slots. 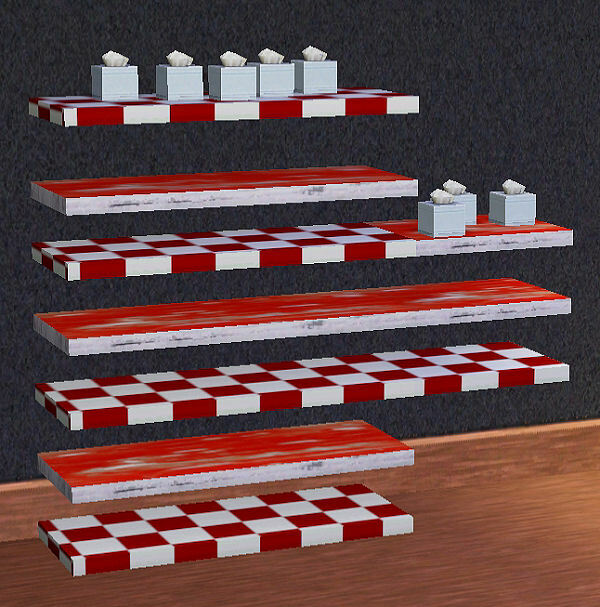 The solid shelves have three recolorable channels and tile nicely. They will slide even when holding things on them. The shelves will move to the height you want them whether they are against a wall or not. For ease of purchase I have added the continuous buy feature to these shelving pieces along with the slide function. This set includes 1 full shelf in solid material and in glass, 1 half shelf in solid material and in glass, and 1 upright piece in solid material and in glass. I have tested the shelves in a fully patched LN game. You need the LN patch to make the shelves work correctly.